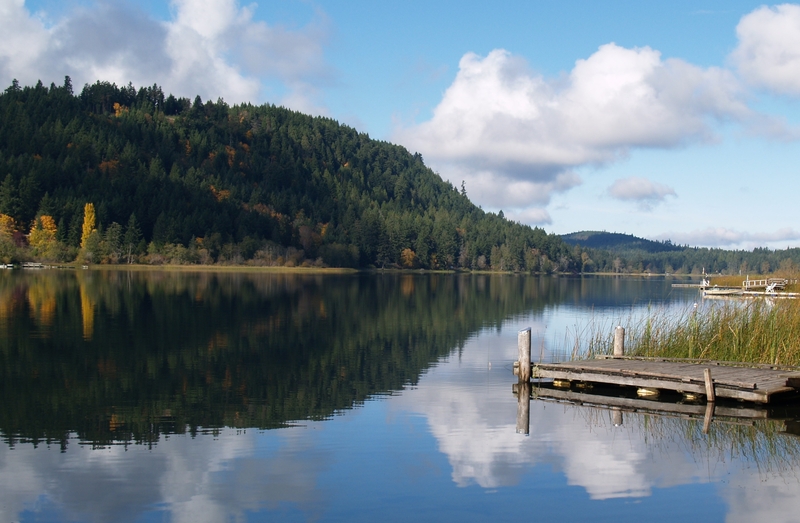 Salt Spring Island is the perfect place for a writer’s retreat. Tucked away in a forest cabin, lakeside cottage or B&B, you’ll have the space, quiet, time, and support for deep and sustained writing. You may wish to spend the morning engaged in a specific project or explore new territory through journalling or guided writing prompts, then meet with Lorraine in the afternoon to discuss any aspect of your writing or creative process. She can custom design a retreat program for you or offer feedback on a work-in-progress such as a memoir, novel, poetry collection or nonfiction book. Afterward you can walk on one of the island’s many trails in old growth forests, along secluded beaches, or at the park on Mount Maxwell, with spectacular views of the surrounding Gulf Islands. In town you can visit art galleries, shops, and on Saturday browse through the famous market for handcrafted items, baked goods, and other unique articles made by local craftspeople. There are many good restaurants for dinner and the library hosts a plethora of readings and other lively evening events. Your stay on the island will nourish you on every level, offering abundant inspiration, creative expansion, and new possibilities for your writing and life. Please contact Lorraine for more information and mentoring options: info@lorrainegane.com. In the summer of 2011 I finally made my way to Salt Spring Island, where my creative mentor Lorraine Gane has been living, creating, writing, and teaching for about twelve years. Lorraine has been helping me while I write a book about my late husband and our relationship. I brought fifteen pages of my book for Lorraine to review and provide input and editing and she and I met a few times during my stay to discuss the book and where to take it. She even meditated on finding a working title for my book, which gave it an identity and soul. So the combination of a peaceful, welcoming location, the natural beauty of Salt Spring and the creative guidance of Lorraine combined, for me, into one of my best experiences on a retreat or vacation.”–Liz Chisholm, Toronto, Ont. “The cozy accommodations and peaceful surroundings at the resort made it the ideal place for my week-long writing retreat with Lorraine Gane’s valuable editing and coaching support. The surrounding trees, view of the lake and clean rustic cottage provided an atmosphere that let me focus on writing.” –Ramona Nehring, Fort Nelson, B.C.